NEW YORK (AP) When they finally met up once more, Masahiro Tanaka was too much for Shohei Ohtani. Tanaka scattered three hits over six strong innings, twice striking out Ohtani as the New York Yankees defeated the Los Angeles Angels 3-1 Sunday. Although Ohtani was pushed back from his scheduled start due to what the Angels called ”workload management,” Tanaka (6-2) held up his end up of the highly anticipated pitchers’ duel between Japanese stars that never materialized. ”We were supposed to pitch against each, but it ended up with him getting into the batter’s box and facing him as a batter, which might have been the real matchup,” Tanaka said through a translator. Ohtani first batted with two outs and a runner on in the first. Greeted with a loud chorus of boos, Ohtani stepped to the plate against Tanaka for the first time since they played against each other in 2013. Tanaka, who’s 29 and six years older than Ohtani, quickly fell behind the two-way star before inducing a swinging strikeout much to the delight of the crowd. Ohtani went 0 for 2 with a walk against the Yankees right-hander and is now 0 for 13 with two walks in all competition against Tanaka. Ohtani went 0 for 9 with five strikeouts in the series. 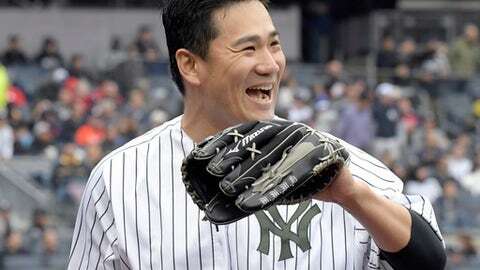 Tanaka extended the longest hitless stretch of his young big league career. Featuring his splitter, Tanaka struck out eight and allowed just Andrelton Simmons’ sixth-inning home run in his longest outing in nearly a month. One day after he homered and had three doubles in the first five-hit game of his career, Mike Trout went 0 for 4. Richards threw three wild pitches in the inning to bring his season total to 14, tops in the major leagues. Since 2013, the right-hander has 69, which is eight more than any other pitcher in the majors. Yankees: 2B Gleyber Torres was held out of the lineup for just the second time since being recalled on April 22. Manager Aaron Boone indicated that Torres’ left knee was a little ”banged up” on Kole Calhoun’s third-inning single Friday night. Boone made sure to note that the rookie sensation was available off the bench if needed and likely would have been in the lineup had the scenario not been a day game after a night game. Torres appeared as a defensive replacement in the eighth. Angels: OF Justin Upton (forearm) was held out of the lineup one day getting hit by a pitch from Sonny Gray. Manager Mike Scioscia said that he expected Upton to play in the next day or two.